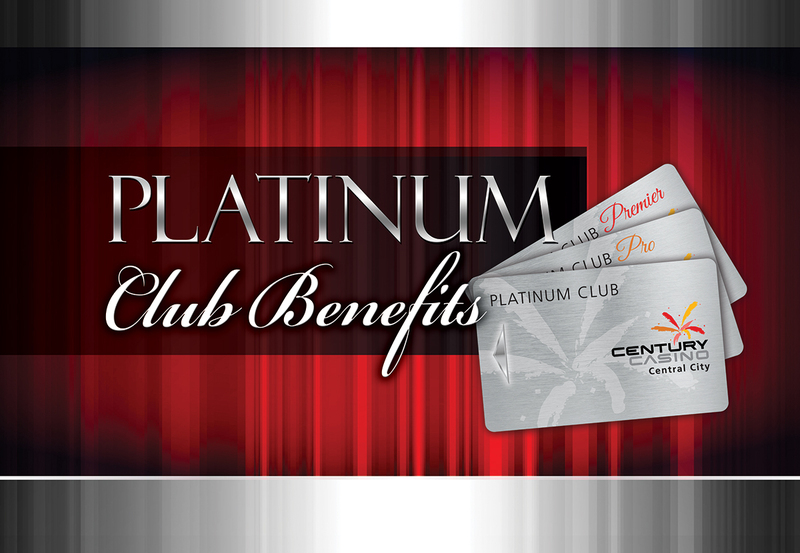 Find powerful perks and brilliant benefits when you reach Platinum status in Century Casino & Hotel Central City's Player Club. Now you can enjoy a VIP program that truly makes you feel Very Important! Just hit any platinum point earn threshold threshold in a six-month period to earn membership into the Platinum Club, and score additional promotional, cash, multiplier, and free hotel benefits! Talk to a Casino Host to find out more, and check out the full suite of Platinum Benefits below!